The Ministry of Culture is an Organism of the Executive Power in charge of all the cultural aspects of the country and exercises exclusive and particular competence in relation to other levels of management nationwide. Was created on July 21, 2010 under the Law No. 29565, issued by the President of the Republic, Alan García Pérez. The main functions of the Ministry are to formulate, execute and establish strategies of cultural promotion in an inclusive and accessible way; to carry out actions of conservation and protection of the cultural heritage; to promote every type of artistic expression; to call and recognize the merit of those who contribute to cultural development of the country; to plan and manage, with all the governmental levels, activities that allows the development of Amazonian, Andean, and Afro-Peruvian peoples, all of this, by enhancing the cultural identity and opening participation spaces for all cultures. 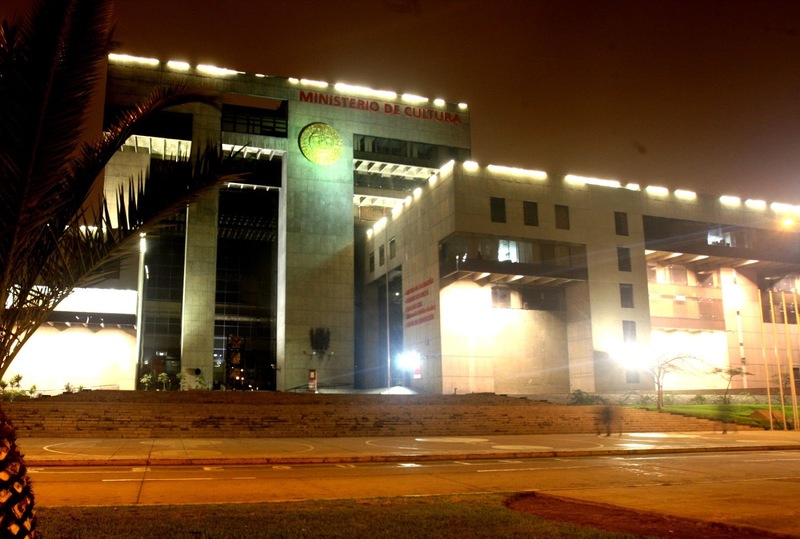 The Ministry of Culture is an institution recognized as fundamental axle of sustainable development of the country and promotes the intercultural citizenship, the social inclusion and the protection of the national cultural heritage providing a better access to population, cultural and artistic products and enhancing the Peruvian identity. 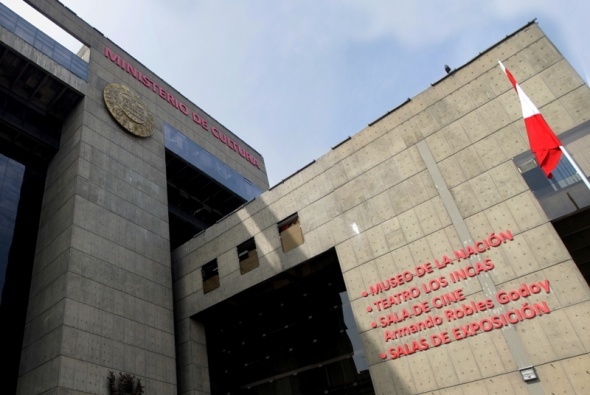 The Ministry of Culture establishes, executes and oversees national and sectoral policies of the State on cultural matters, through its programmatic areas related to the National Cultural Heritage, the management of cultural industries and creative plurality throughout the Peruvian territory. Also, the institution sets up, coordinates and articulates the national policy of implementation of the right of consult, corresponding to regional and local governments the final decision about the measure. In August 24 of 1962 was created the House of Culture in compliance of the Supreme Decree No. 48, but it was not until June 17 of 1963 that it was given strength of law to the mentioned order with the Decree Law No. 14479, year when the National Commission of Culture was founded. Years later, the National Institute of Culture (INC) was created during the government of General Juan Velasco Alvarado, who started his mandate in 1972. The INC was created as a public organism decentralized of the education sector, through the Section No. 49 of the Decree Law No.18799. For 39 years, this institution was in charge of all culture matters. However, in 2001, the first step in setting up a reform of cultural policies was taken with the creation of the National Commission of Culture, organized by the INC through the National Directorial Resolution No. 494 on June 11 of that year. This Commission was responsible for the preparation of Cultural Policy Guidelines, which pointed out the need to create the Ministry of Culture. However, it was not until 9 years later that the institution was made official. On July 21, Alan García enacted the Law No. 29565, which allowed the creation of the Ministry of Culture, and since October 1 of 2010, the organizational structure of the INC became the structure of the new Ministry of Culture, according to the established in the Supreme Decree No. 001-2010-MC.